Backpacks > What to Look for in a Travel Backpack? 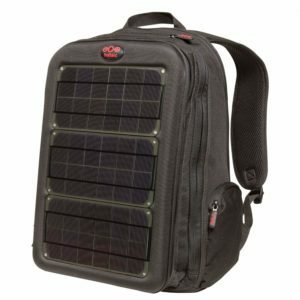 What to Look for in a Travel Backpack? When you want to roam the world with nothing along but the pack on your back, you have to be really choosy: it has to be big enough but not so big that it is difficult to carry around, it should be strong and sturdy and it should be easy to organize your stuff in it. Size. A large size has obvious benefits: it fits more stuff. But it is also heavier to carry. A smaller pack will force you to travel light and discourage superfluous shopping. Ideally travel backpacks should be small enough that they are easy to carry even when fully loaded and big enough to hold all that you think you’re going to need. Weight. Look for lightweight materials. Usually, this means that the cost will go up too, but it may be worth the extra money. Fit. The straps should be such that the weight is equally distributed all over your back and your hips and it not centered on your shoulders. Try it on to see how it fits. The size should correspond to your height and torso size. Pockets/Segments. It is a good idea to have a capacious bag but one that has several segments and pockets. This way you can separate your clothing from your toiletries and your shoes from your Kindle. Wheels. In principle wheels to pull the bag (you could get tired of all the lugging after a bit) can be a good idea. Wheels can be very useful life a belt or a buckle breaks. But if you want a bag with wheels remember this will make it heavier. Design. Consider whether you want a zipper that opens up all around or whether it opens up on the side. Consider top loading and side loading travel backpack and what is better and more comfortable for you. Detachable day bag. Many backpacks come equipped with a detachable day bag for day excursions when you don’t want to lug around your entire luggage. Sturdiness. When it comes to travel backpacks, paying extra for good quality may be worth the expense. Durability and sturdiness are essential features that could mean the different between a great trip and a terrible one. Check everything: straps, zippers, buckles, belts, stitching, material and opt for one that is sound on all fronts.